Agri-Expo is the owner of Sandringham (Farm 1356, Muldersvlei, Stellenbosch), a 65 ha farm with vineyards, guavas and open exhibition space. 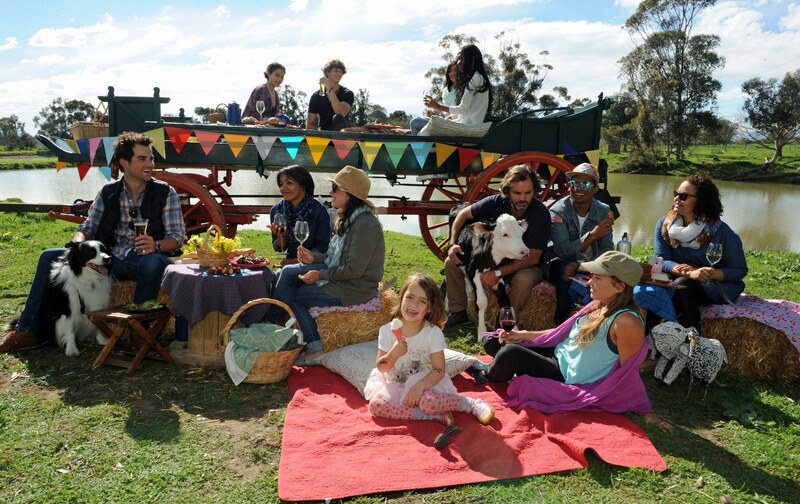 Sandringham is the home of the SA Cheese Festival, Agri-Expo Livestock, Equestrian Sales, The Cape Dairy Experience and other Agricultural related shows and expos. The SOUTH AFRICAN CHEESE FESTIVAL, the biggest outdoor culinary event in Southern Africa, was started in 2002 to create a platform for the Dairy Industry to showcase products to a captured audience of more than 30 000 people. The SA Cheese Festival has been awarded Best Consumer Exhibition by AAXO in 2016 and 2017. The VERITAS WINE AWARDS give recognition to wines of exceptional quality and the distinctive Veritas symbol of excellence serves as an authoritative quality guideline. Veritas is the biggest wine show in South Africa. Agri-Expo supports the South African National Wine Show Association (SANWSA) with this project. The first wine show in South Africa was started by Agri-Expo in 1833. The SA YOUNG WINE SHOW is the oldest wine show in South Africa, and more than 2 000 entries are judged in 17 categories. The General Smuts Trophy is awarded to the Top Young Wine of the current vintage. The eight participating wine regions are Robertson, Worcester, Stellenbosch, Paarl, Oranje-Vaal, Olifants River, Swartland and Klein Karoo. FROM THE EARTH promotes the image of Agriculture and shows the diversity and excitement of the Agricultural Sector in a surprising way. The expo gives recognition to Mother Earth for her contribution to the existence of man and beast and was held in the CTICC. From the Earth was awarded with a “Certificate of Excellence” by EXSA in 2009.